Matthew Schultz is National President of the Australian Smart Communities Association, a rapidly growing Australian peak industry association for Smart Community, Broadband and Digital Economic Development with members across Australia and New Zealand. He is also an inaugural Director of Open Data Australia, a member of Open and Agile Smart Cities Australia, Standards Australia IT­042 Internet of Things Standards Development Committee and the Internet of Things Alliance Australia Working Group 7 for Platforms and Interoperability. The development of Smart City strategies and initiatives is in full swing in Australia. Early on, the focus for cities was on next generation broadband rollouts, largely centred on the Australian National Broadband Network and 4G LTE, and digital economic strategies. Moving forward from there, the commencement of Smart City sensor network rollouts, connected infrastructure, and data driven transformation was kicked off by a number of leading Australian cities around 2015. The advent of Smart Cities is not only focused on experimenting with the latest technology initiatives, but has been convened to address specific city and regional challenges and opportunities. The focus has been on transformational service and experience improvements, underpinned by digital technology for citizens, businesses, and tourists. A recent snapshot survey of Australian Smart City activity undertaken by KPMG shows an increasing number of Australian cities and regions at the strategy and roadmap development stage, and also an increase at pilot projects phase. Interestingly, the survey shows a slight decrease in operational rollouts underway. In terms of project planning, the same survey shows a continued emphasis on foundations of Smart City development. 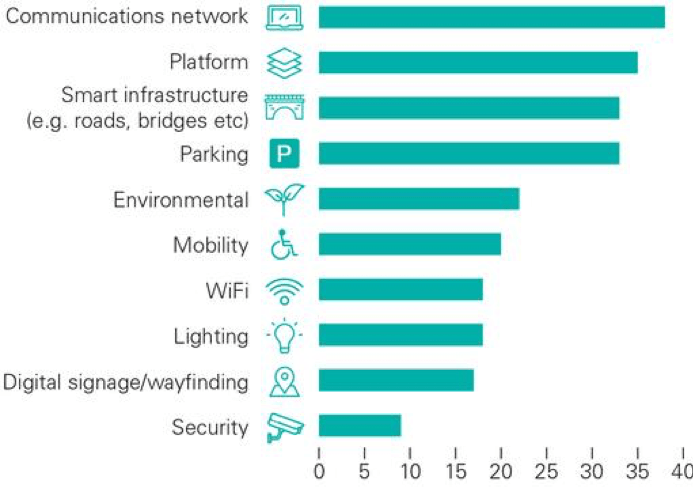 These aspects include connectivity and data platform development, and rollout of various city IoT including smart lighting, parking, and other infrastructure. Evidence of progress by the leading Cities in Australia include the recognition of the cities of Melbourne, Ipswich, and Sunshine Coast by the Intelligent Community Forum, a New York based think tank that analyses the various practices that create Intelligent Communities. 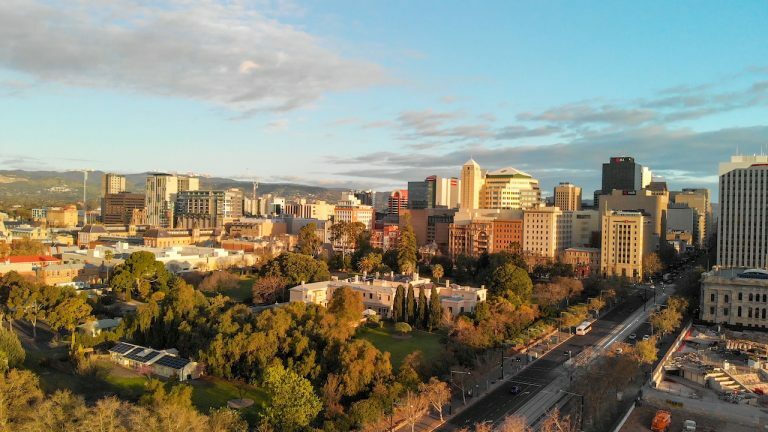 The City of Adelaide has also attracted international acclaim for its Ten Gigabit Adelaide fibre network rollouts and other related Smart City initiatives. The Australian Government has been active in recent years to catalyse the development of Smart Cities through its ‘City Deal’ and ‘Smart Cities and Suburbs’ program. The City Deals announced for Western Sydney, Launceston and most recently South East Queensland have substantial Smart City, Digital Technology and service delivery transformation components. The opportunity to create multi-jurisdictional approaches to over come barriers and cut red tape to catalyse very significant transformational development of these large regions and cities will be closely watched. Significant funding from the Australian Government through the Smart Cities and Suburbs program has been granted to a large number of Cities and Regions to commence Smart City initiatives, however it remains to be seen of the long-term success, sustainability and scalability of these. As President of the Australian Smart Communities Association, I was recently privileged to attend the Smart Cities Expo World Congress in Barcelona in November 2018. This opportunity allowed me to benchmark Australia’s progress in Smart City ecosystem development and how we compare to our international peers in North America, Europe and Asia. ‘Call to arms Narrative’ – Much of the international dialogue is still focused on call to action to commence the smart city journey, planning and implementations. Greater focus on the bigger picture and unintended consequences – A number of keynotes were focused on how the impact digitised globalisation is changing the current landscapes of democracy, government trust and the breakdown of decades old norms. Importantly there are emerging models that can be implemented to ‘fix the future’. Evidence of fulfilling the promise of Smart Cities – There is still only small, but growing, evidence of scaled projects that have produced the transformational outcomes sought. Most Cities are in planning, proof of concept or pilot stages in 2018. 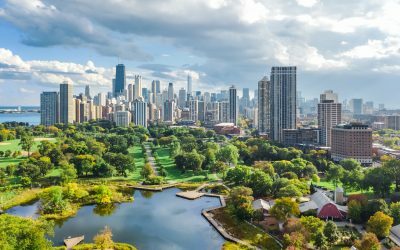 Scaled Smart City rollouts – Some of the larger international cities such as Barcelona has long been the ‘poster child’ of the smart city movement over the past decade. Most of these cities have been marketed to indicate that their respective smart city rollouts are near or at completion. Deeper investigation shows that this is not the case with even Barcelona still around 10% to 15% of whole of city scale smart infrastructure rollout. Where Australia is positioned – Based on what I experienced and saw on this important trip it is clear that Australia’s leading cities are at pace with nearly all international peers. However, this could change rapidly if more Australian Cities do not convert current strategy into commencement of on the ground implementation in the coming 12 months and sustain focus on achieving long term city and region service and experience transformation. Indeed very well drafted Matthew. The backbone of any smart city is the Telecom infrastructure followed by the platform which controls all the devices and sensors on the network. I am however not convinced of the fact that lighting comes all the way down, as one of the biggest concern to a city council is the utility bill. I think the “Smart City Universe” will achieve better progress by acknowledging that this is indeed a long journey with many potential detours – some of which may be dead-ends – than by hyping ourselves into thinking that we are ‘nearly there’. Australian cities/communities may also earn the respect of stakeholders elsewhere in the world if they adopt this evidence-driven approach. You may have also heard about the great things being done by City of Newcastle and the broader region on Smart Cities. Newcastle and Lake Macquarie have invested their own resources and been successful in gaining large grants from both the State and Federal governments under the programs you have mentioned in this article. What’s happening in Newcastle and the broader region is a great example of how Smart City Programs can help transition regional cities into the new economy. Gautam said telecom Infra needs to be available I do not see that as what makes a smart city LoRaWan is here to stay and does not need a full Telco model to run LoRawan. Now what is smart! I see savings in utilities as being smart, so streetlight dimming and water NRW are two areas to start. Personal smart is not CITY we have apps for everything so that’s available. Monitoring motors for efficiency and maintenance through smart sub meters I promote that device thru my company for Malaysia. Parking is helpful but may end up a revenue annoyance. CCTV if MANNED can be helpful but is not necessarily a preventative system. Traffic light management in a cit during peak period would be helpful to public transport (Bus and tram) and co-ordinate with train crossings. An Interesting article about smart city in Australia. I’m the CO-Founder of the Israeli Smart Cities Institute and would like to meet you in Barcelona where i’m a speaker for the last 6 years. Australia is a very interesting case for smart city policy and implementation. I wonder how I can participate in the next Australia smart city expo? I would appreciate establishing friendly and professional contacts.